The MACSima™ Instrument is a fully automated imaging system based on fluorescence microscopy. 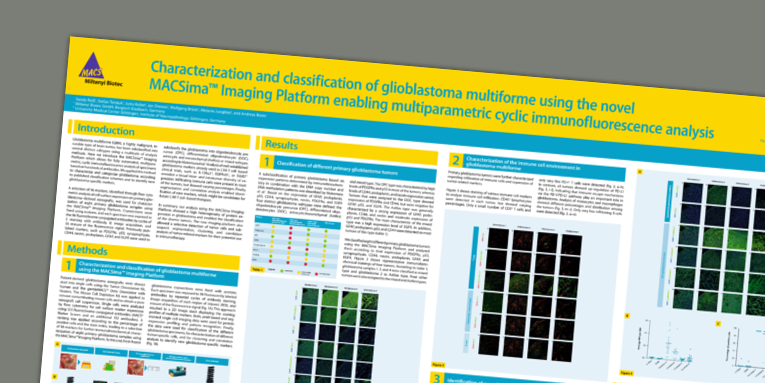 It’s MICS (multiparameter imaging cell screen) technology united with a broad spectrum of available antibodies, enables you to analyze hundreds of markers within a single sample or multiple samples at a time, while it is still convenient and easy to use. Our brand-new MACSima™ Imaging Platform offers you a way out of the world of compromise, of choosing one answer over the other, of only seeing fractions at a time. It is a revolution in the field of microscopy that helps you to finally understand nature’s complexity.